The what: We advocate for more 24/7, baseload energy sources with low or no emissions. Specifically, for us that means nuclear, coal with carbon capture, natural gas and hydropower. 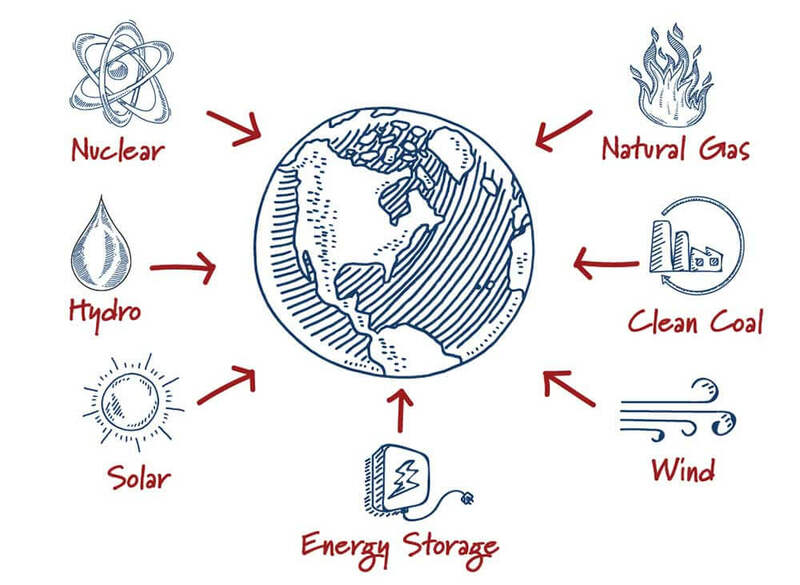 We also like renewables and other advanced energy, but without grid-scale storage we can’t have reliable power without baseload clean energy. The how: We work to advance these energy sources through conservative policies that unleash market forces via more innovation and less regulation. Clean energy is a global priority and an inevitability. The future carbon-constrained world is evidenced by the energy-producing nations that have engaged in the Paris Agreement and by major fossil fuel and utility companies that already factor carbon into their energy production choices. The 100’s of global CEOs who make up the World Economic Forum have pegged climate change as the biggest global risk for years to come. Energy CEOs understand that we need a broad portfolio of technologies at low costs to accelerate this transition to clean energy. Not every country has great renewable energy resources. Not every country has low-cost natural gas. And efficiency efforts in many countries won’t come close to outpacing demand that is still growing. HUGELY. The U.S. has an enormous role to play in this global picture. We’re the global energy technology superpower – our Energy Department and national lab system have been the envy of the world. WE created nuclear power. WE created the shale gas revolution. WE perfected the internal combustion engine. If these miracle low-cost, highly scalable, highly dispatchable technologies ever do get created, chances are high that they’ll be created in an American national laboratory in collaboration with the American private sector. But our energy innovation investments don’t match the level of potential impact. We’re leading the world in both energy and medical research, another area rife with enormous challenges but also rewards. 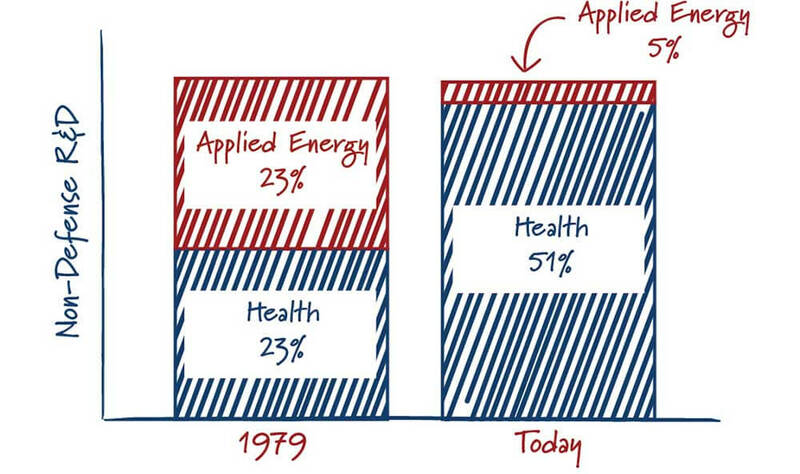 But despite both sectors contributing the same 8% to our GDP, we’re spending far more on health than energy R&D. Not only have private American firms and smart government-to-government partnerships supplied the world with energy innovation for over a century, but we’ve been essential to ensuring the safe development of that energy. 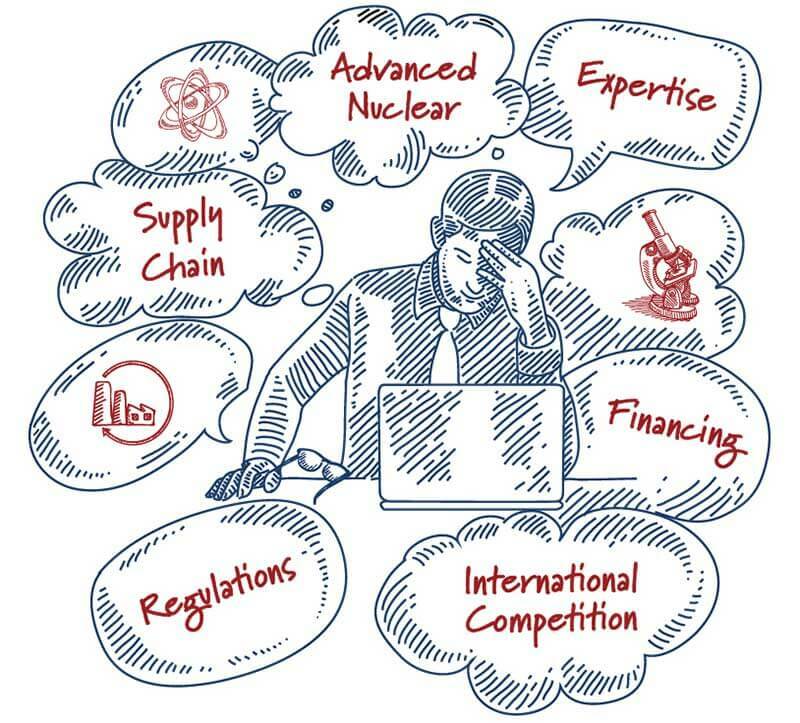 See the Nuclear Regulatory Commission – the gold standard of global nuclear safety. Countries around the world look first to us, and what our NRC says about a technology, before saying those technologies are ready for their own people. As a result of our dominance in nuclear energy, roughly half the nuclear reactors in the world are based on American designs from Westinghouse. See hydropower, the world’s largest baseload and dispatchable renewable energy source available right now. 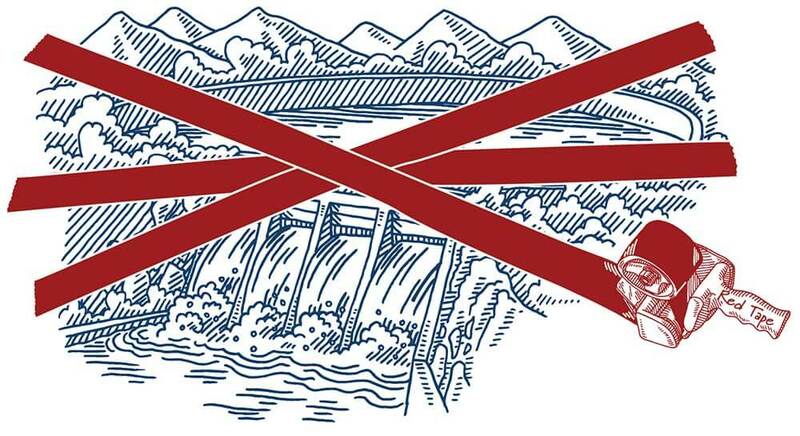 It can take decades just to relicense an existing dam, much less build new ones or import that power from Canada. This is some of the lowest cost energy available – clean or otherwise – and yet strangling red tape holds back its potential. According to a recent Department of Energy study, United States hydropower capacity can grow another 50% by 2050. There is risk in monoculture. Energy systems that rely on very few sources tend to see great spikes in price from time to time and low reliability. There will always be shortages or price spikes, whether for natural gas or nuclear. Diversity is how we deal with these risks, and hedge our bets for the long term. Diverse energy systems, like those maintained by the regulated utilities in the Southeast U.S., tend to have low, stable prices and very high system reliability. There is growing consensus that renewables and efficiency can’t supply our energy needs from either a cost or reliability perspective. Fossil fuels and nuclear need to be a major part of the mix. Without them, studies from the IPCC to JPMorgan show that costs of 100% clean energy double or triple. Why? Solar and wind plants get more expensive as we build more of them. The National Renewables Energy Laboratory has modeled that you start having to waste significant amounts of solar and wind power once they reach 40-60% of the grid. That is because all of those panels and turbines sometimes produce at the same time, oversupplying the grid particularly when power demand is low. That’s why we need clean energy that we can turn on and off whenever we need it. Building on big industries with big supply chains is easier in energy policy than scaling up new things from scratch, because it leverages our existing assets. But big industrial innovation isn’t Silicon Valley innovation. Advanced nuclear isn’t Uber and created by two guys in their garage. Building an energy technology for the first time, the first of its kind, is a bear. It takes 10 years or longer to build out a strong supply chain and only a couple of years of doing nothing to lose it. You are only as good as your supply chain. Conservative clean energy technologies have attributes that are key for other sectors too, and will be valuable exports abroad. For example: advanced nuclear energy that also produces enormous “process heat” that could unlock entirely new industries. Imagine if clean nuclear generated heat to power coal refineries (that’s right, not oil), melting coal hydrocarbons into valuable products like carbon fiber for ultra-light airplanes. Further, a scale-up of carbon capture technology could unlock enormous U.S. oil production by using carbon dioxide for enhanced oil recovery. China is pulling ahead of us on virtually every dimension. They’re building dozens of new nuclear plants while we struggle to finish four. They’re innovating new nuclear designs while we send our entrepreneurs their way. They’re planning and opening new industrial carbon capture facilities throughout the country. They’ve eaten our lunch in so many other industries, and are hungry to do so in energy. We haven’t given up on American energy leadership yet – and we hope others won’t either.